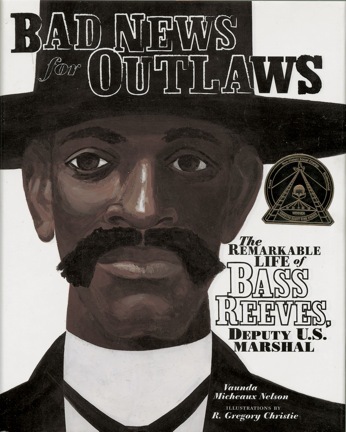 Bass Reeves was born into slavery in 1838. Although he had a tough life, he had a strong sense of right and wrong that many people admired. The Indian Territory was a haven for many outlaws. When Judge Isaac Parker tried to bring order to this territory, he chose Bass to be a deputy U.S. marshal. Bass proved to be the best man for the job. Bass worked more than thirty years capturing more than 3000 outlaws. His techniques were cunning, respectful, and peaceful. Violence was Bass’ last resort. As a result of Bass’ techniques, he killed only 14 men in the line of duty. To read how he accomplish this, you must read the book. Nelson’s thorough research of Bass Reeves’ and her storytelling skills is evident at the beginning of the story. Readers will immediately be drawn into the story when they read the first sentence: “Jim Webb’s luck was running muddy when Bass Reeves rode into town.” Christie’s illustration on the next page captures the fear on Jim Webb’s face, and the quiet, solemn demeanor of Bass Reeves chasing him. Young readers will recognize the themes of justice and fairness, and love the large images of Big Bad Bass Reeves and also the fine attention to details. 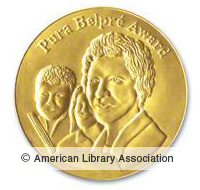 Once you read this story, you will love it too and include it in your collection. 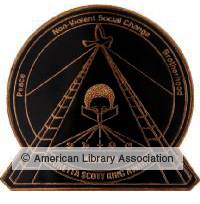 Additional resources, both print and electronic, on Bass Reeves are listed below. Higgins Bond, the illustrator of the Great Kings and Queens of Africa collection, is highlighted today on the last day of the 28 Days Later. It is only fitting that the last day feature a trailblazer and an award winning artist. For more information about her journey, read here. Award winning African American Illustrator Kadir Nelson is Day 26 of the 28 Days Later. Read more about him and his journey here. To view some of his illustrations, visit his website.